Truck Mount Carpet Cleaning Equipment: Machines And Carpet Cleaning Equipment at discounted prices. When you are ready to upgrade from a portable, the Avenger 500 is the perfect entry level truck mount carpet extractor. Compact, simple design and affordable. 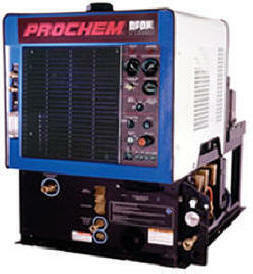 Century 400 has been in business for 25 years and is owned by the largest truck mount manufacturer in the world - Prochem. So you can depend that they will be their for you. 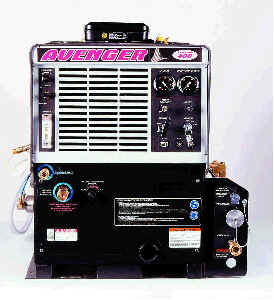 COMPARE THE BLAZER WITH THE AVENGER. ITS THE SAME MACHINE- DIFFERENT LABEL - SAME FACTORY. Prochem's Next Generation Truck mount. 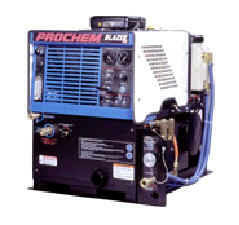 The durability of the liquid-cooled engine ensures you are maximizing your profit potential. Further, the simplified design makes operation and maintenance easier than ever. The patented heat exchange system provides plenty of heat for the PEAK's single wand operation. Plus, the tri-lobe blower provides the vacuum you need to get the job done right.